After his tennis career he coached young sports professionals and teams on their way into international top level performance. From 1995-1997 he worked as a coach at the renowned Niki Pilic Tennis Academy in Munich. Torsten transfered his experience from high performance sports to his work with companies and leadership teams, who are facing complex challenges. He facilitates transformational off-site workshops to help individuals and teams to achieve desired results in their daily work environments. Together with his partners from Herrmann & Associates he co-developed the ChallengeX consulting approach and he is currently leading the ChallengeX Leadership programs. Torsten is qualified with several years of coaching experience as a Dipl. Trainer Tam (Trainer Akademie München), Inner Game Coach (Gallwey, Maier) and HBDI Master Trainer. His main focus lies on Change and Implementation Management, Leadership Development and Organizational Change. 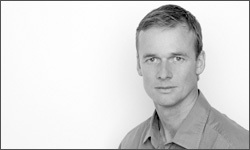 In the past years Torsten developed innovative "Work Life Balance" approaches. His clients have included BAYER, Eurocopter, EADS, BASF, SCA, Vodafone, Swisscom, Hugo Boss.